It’s that time again. 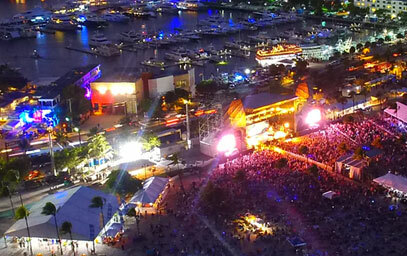 Below we have identified some exciting things to do in South Florida this weekend. As always, if you are aware of something fantastic that we missed, please add it in the comments so we can all benefit! Also, visit the linked sites to confirm date, time, location and details. Sometimes things change. If you are aware of an event we haven’t mentioned, please let us know so we can share it! Also, we are putting the finishing touches on our holiday blog. We are so excited to share many of the amazing events in South Florida this holiday season! 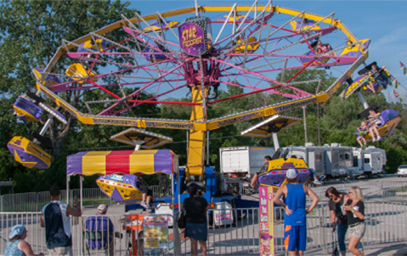 Broward County Fair, 5:00pm – 1:00am: It’s the final weekend for this annual favorite event. Located in Hallandale at The Big Easy Casino, there are rides, food and entertainment. The fair will be open all weekend. Check their website for hours and ticket information. ArtsPark Funtastic Friday and Movie Night 5:00pm – 10:00pm: Bring the whole family, and some friends, to ArtsPark for music, face painting, bounce houses and games. The movie “Fred Claus” will be shown at 8:00pm. Information is available here. Also, this evening the holiday tree will be lit at this event. And, guess what? Santa is coming! You can even take a picture with him! Riptide Music Festival 2018, 4:00pm: his three day music festival at Fort Lauderdale Beach Park begins tonight with performances by The Sugar Hill Gang, Sheila E and more! The fun continues on Saturday and Sunday. Visit their website for the concert line ups and ticket information. Fort Lauderdale Christmas Pageant, 7:30pm: This family favorite event, which opens this weekend and continues through December 16th is celebrating its 35th anniversary. 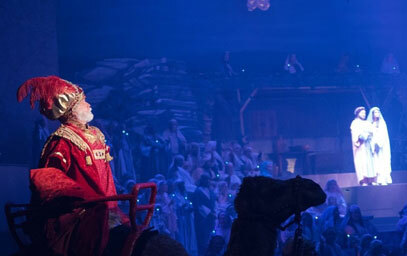 The Broadway style Christmas show features over 300 performers and is simply fabulous. Click here for ticket information. North Pole Pajama Party and The Polar Express 3D Movie, 10:00am: The Museum of Discover & Science in Fort Lauderdale is the site for this children’s event (which will also be held on December 8th). Visit their website for ticket information and details as to how the event will run. Sunrise Arts & Crafts Festival, 10:00am – 1:00pm: Visit the Sunrise Athletic Complex and spend the day shopping for some fabulous holiday gifts. There will be plenty of vendors and delicious food to purchase. Additionally, this event encompasses a Winter Wonderland where children under 12 can visit with Santa, play holiday games and even see snow. 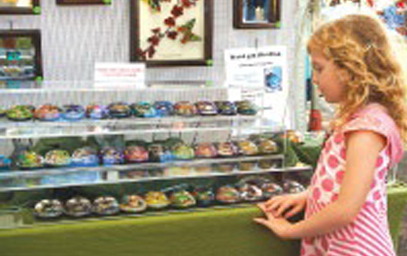 Admission to the arts & crafts fair is free but there is a $5 charge to participate in the the Winter Wonderland. Visit their website for more information. Santa’s Arrival Party, 11:00am: Santa will be arriving at the Pompano City Center on a shiny red fire truck! There will be activities for kids and you may even get to see “snow”! Visit their website for more information. Mommy and Me @ The Frank Storytime Hour, Noon: Visit the Frank Gallery in Pembroke Pines for this always fun story time. Click here for more information. Buyer & Cellar, 2:00pm: The Island City Stage in Wilton Manors is the site for this Off-Broadway play. This comedy has multiple showings throughout the weekend. Visit their website for more details. The Nutcracker, 3:00pm: The Lauderhill Performing Arts Center is hosting a holiday presentation of The Nutcracker. Click here for details. SnowFest 2018, 4:00pm: Visit the Charles F. Dodge City Center in Pembroke Pines for a holiday extravaganza. There will be snow (75 tons of it), visits with Santa, games, music and more. You can even watch them light the Christmas Tree. Visit their website for ticket information – you get a discount if you purchase in advance! Open Way Holiday, 5:00pm – 9:00pm: Celebrate the start of the holiday season in Deerfield Beach at the Fishing Pier. Walk through the holiday lights, ice skate and even see Santa! Visit their Facebook page for more details. Holiday Lighting of the Greens, 6:00pm -8:00pm: Join the Town of Davie as they kick of the holiday season at Town Hall. Activities include musical performances, a horse parade and pictures with Santa. Visit their website for details. Tamarac Farmers Market, 9:00am – 2:00pm: Veterans’ Memorial Park is the site of this fabulous farmers market which occurs every Sunday in the fall. Stop by and pick up some delicious treats! Click here for the City’s calendar. Parkland Farmers Market, 9:00am – 1:00pm: Held at the Equestrian Center on Ranch Road, this family friendly market has a bounce house, great shopping and yummy donuts. Make it a point to visit and bring your kids and pup! Check out their website. Dream Classic Car Show, 10:00am – 2:00pm: This recurring favorite event for car enthusiasts takes place the first Sunday of the month between 10th and 20th Avenues on Hollywood Boulevard. Visit their website for more details. Holiday Car Show, 10:00am – 4:00pm: Festival Flea Market is the site for this holiday event. There is no admission charge for spectators. Do some holiday shopping and stop by to see some really cool cars. Details available here. Miami Heat v. Utah Jazz, December 6:00pm: Head down to Miami for this weekend ending game. Details available here. Food Trucks in Lights, December 7th: From 5:00pm – 9:00pm visit the parking lot at Flamingo Gardens for dinner from the food trucks (decked out for the holidays) and music. More information is available on their website. Light Up Cooper City, December 7th, 6:00pm – 9:00pm: Memorial Park is the site for this home town celebration. Bring the family and visit with Santa. Kids can enjoy a bounce house, train rides and so much more. Visit their website for complete details. Fun and Snow in Davie, December 8th, 6:00pm: The Bergeron Rodeo Grounds is the site for this “winter” experience! There will be snow play, ice skating, face painting and more. Check their website for more details. Candy Cane Parade, December 8th: Head over to Hollywood for this spectacular event! Details here. Christmas Near the Beach, December 15th, 4:00pm – 9:00pm: Plan to come by Arts Park in Hollywood for this family holiday event. Activities include music, dancing, a visit from Santa and so much more. Make sure to check out their website to get the full story!